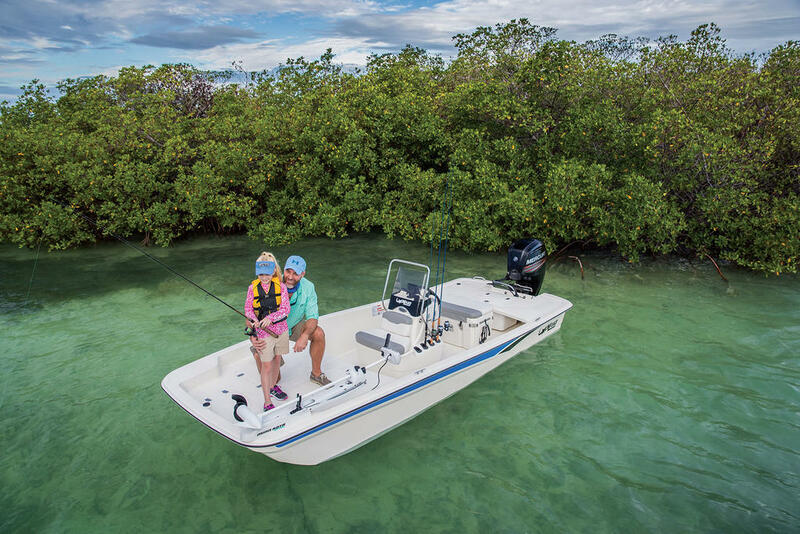 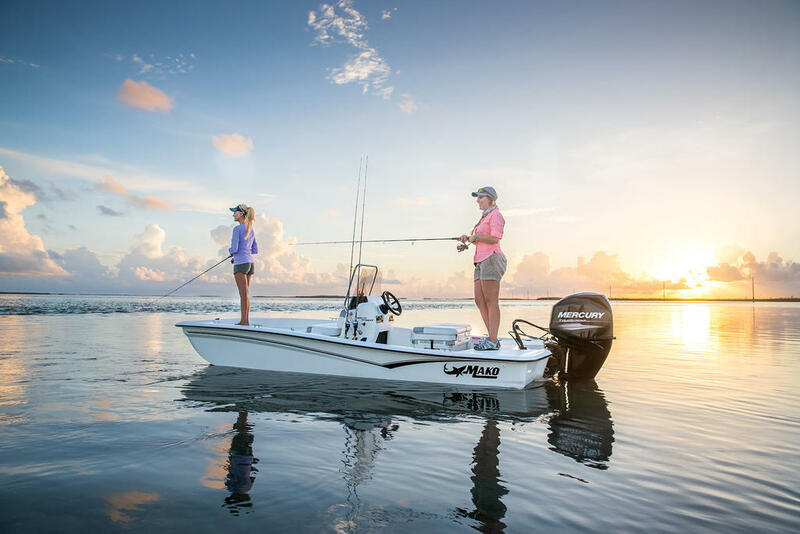 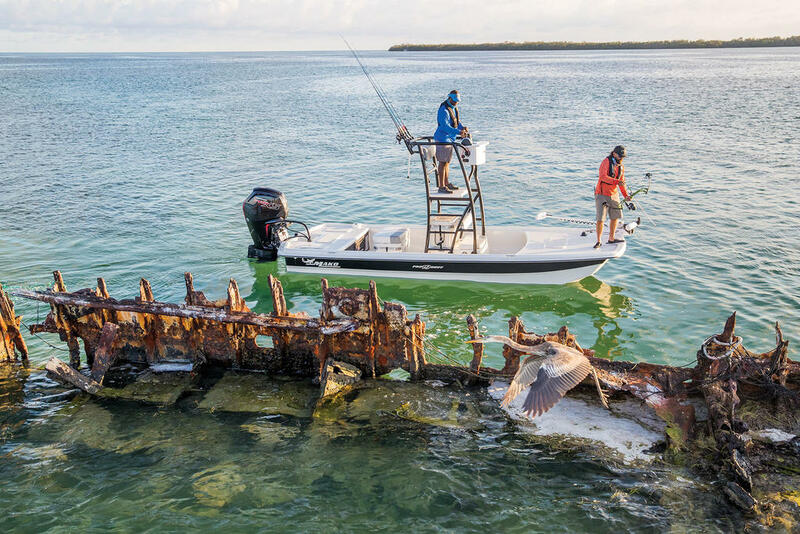 The MAKO® Pro Skiff 15 CC is incredibly smooth and stable thanks to our shallow-drafting Advanced Inverted V (AIV) hull. 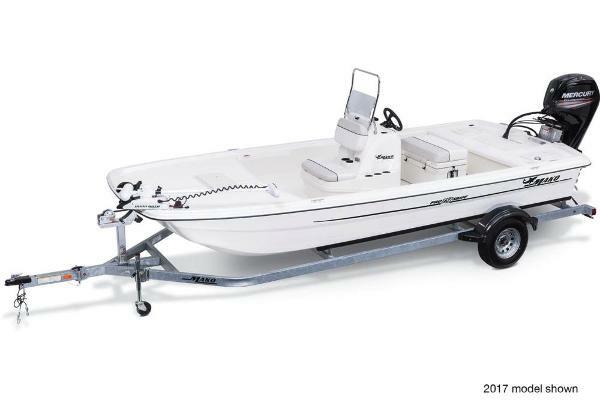 It features a big bow deck with large lockable storage and an anchor locker, plus a removable, cushioned, 65-qt. 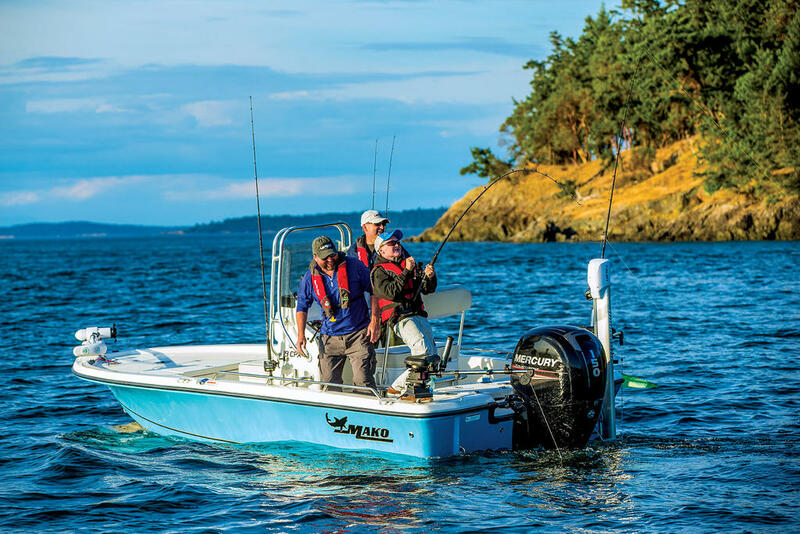 helm seat cooler. 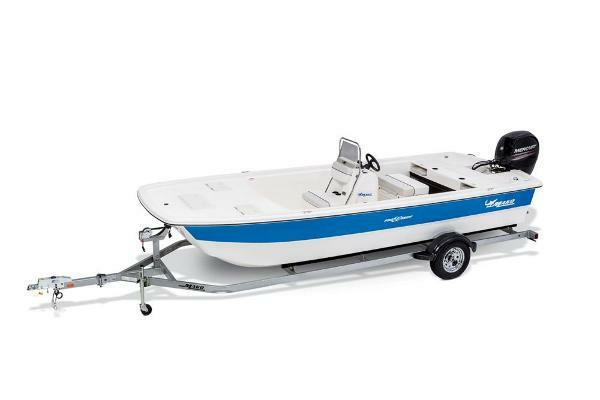 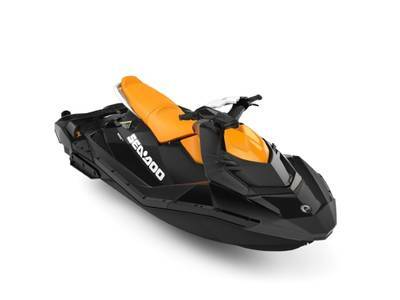 And of course, it's fast and nimble, with an outboard capacity of up to 60HP on the all-composite transom. 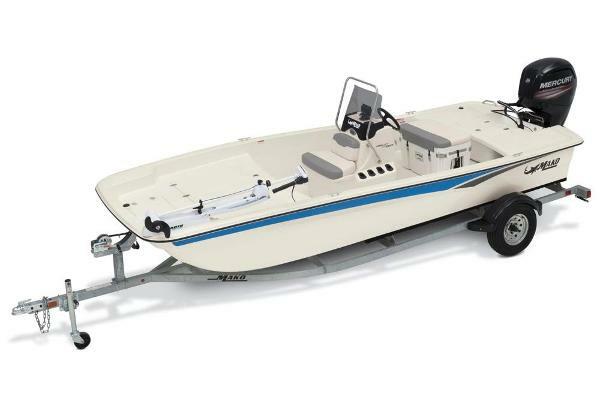 The deck and foam-filled hull are mechanically and chemically bonded to become one unitized structure with superior flotation and quiet operation. 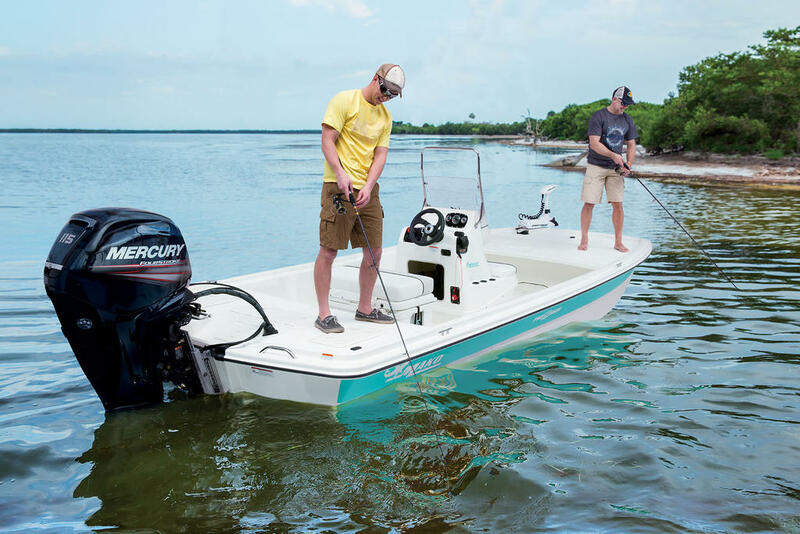 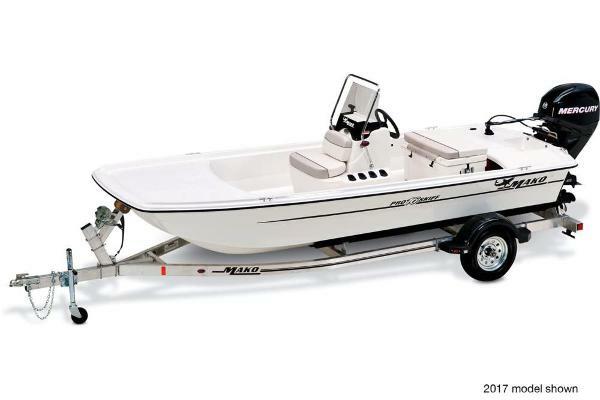 And it comes standard with a hot-dipped galvanized trailer, a Mercury® outboard and our MAKO Assurance 5 Life warranty. 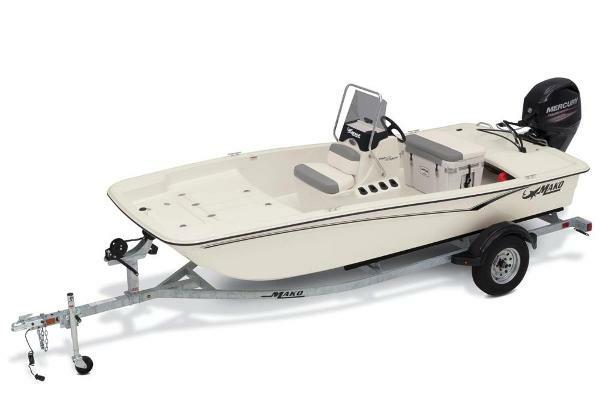 Average hull weight: 880 lbs. 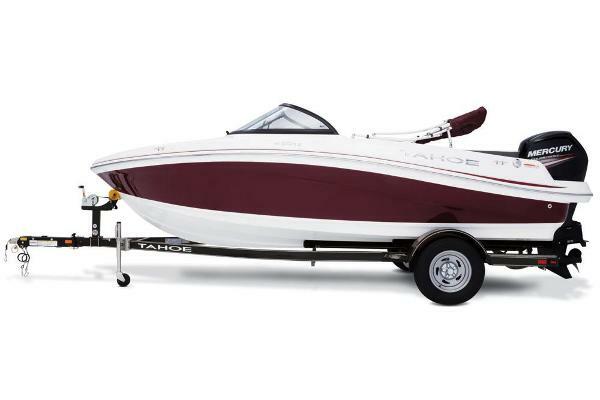 Average package weight: 1747 lbs.